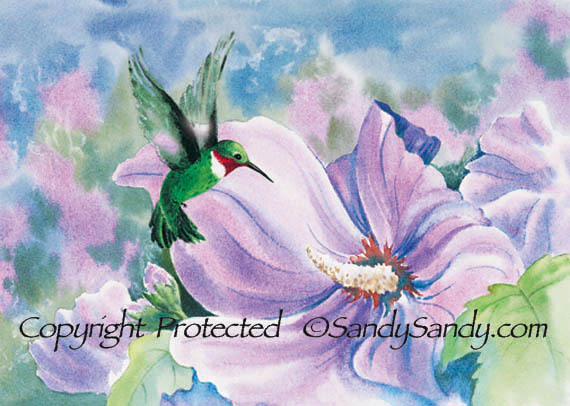 The Ruby-Throated Hummingbird is the only species that nests east of the Mississippi. Here it is wide ranging, from southern Canada to Florida. Hummers winter in Mexico and Central America and have been known to travel over 2500 miles on their biannual migrations. Because of this, hummingbirds are a symbol of accomplishing that which seems impossible. Their playful aerial displays and squeaky cheeps remind us to seek joy as we drink from the abundant nectars of life.